While Janet is in Scotland I rewrite The Stranger In My Life – this time with a different ending. We know now why Janet ‘lost’ four days of her life in March 1976 and this has to be included: the book has an ending. But we still don’t know what happened to Fred Handford. I send one copy via email to Janet and one to her best friend, Mary, in New Mills. A week later, I call Janet. She answers straight away. The snow is a foot deep in Scotland but Janet assures me she is kept warm by her five dogs; in fact she is too hot at night as they sleep on top of her like five living, breathing duvets. She tells me that Mary hasn’t finished reading the new draft yet but she promises a response soon. She is reading it slowly and thoroughly. 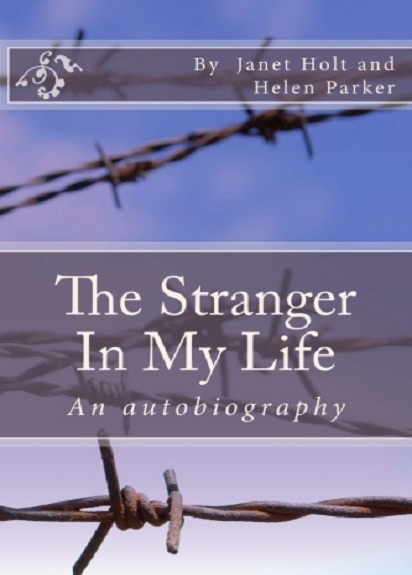 I tell her there’s no rush and after discussing a little more of what she’s been through over the last few months I decide to ask Janet the question that I’m sure everyone will be asking if they read The Stranger In My Life. And I know that at that particular moment, Janet believes that what she is telling me is the truth.